Dr. Niazi received his education at Sind Medical College, University of Karachi in his native country of Pakistan. After six years of internships and residencies, he relocated to New York for a hematology oncology fellowship at the Brooklyn Hospital Center and to study stem cell transplants at Cornell Medical Center. He has been licensed with the state of Kentucky since 1999, and is board certified with the Educational Commission for Foreign Medical Graduates and the American Board of Internal Medicine. 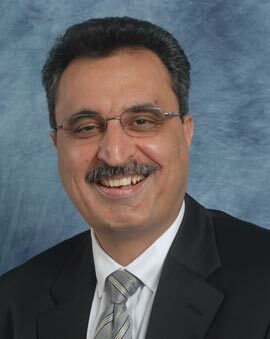 Dr. Niazi is a member of the American Society of Clinical Oncology and the American and Kentucky Medical Associations. He brings to the Commonwealth Cancer Center nearly 20 years of experience in oncology and internal medicine. Dr. Niazi resides in London.